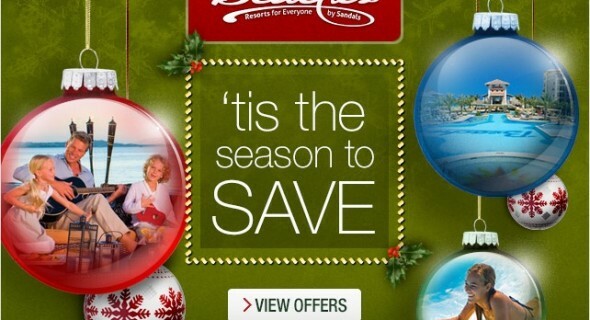 Beaches ’tis the Season To Save! Make the most of your holidays with the best family gift ever. You’re invited to take advantage of our amazing holiday deals and reserve your next vacation to a Beaches Resort. So start planning your next fun escape today with our latest and limited-time specials to be on your way to huge holiday savings and memories to last a lifetime—our gift to you and your family this holiday season.